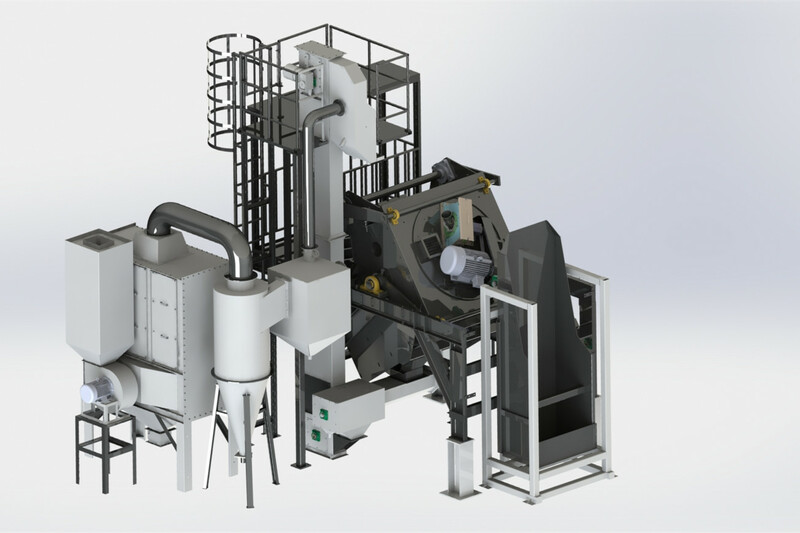 Firstly, the working principle of the tumble shot blasting machine is introduced. The tumble shot blasting machine uses the impeller of high speed to throw the projectile from the blasting machine into the casting, forging, heat treatment, stamping parts, etc. In order to remove the scale, the surface of the workpiece is evenly cleaned, so that it presents the primary color of the metal and cleans the workpiece. The scope of application of the tumble shot blasting machine: the tumble shot blasting machine is suitable for cleaning all kinds of castings, forgings and heat-treated parts which are not afraid of collision and scratching. It is also suitable for shot blasting of small or medium-sized iron, steel, alloy steel and non-ferrous castings. Forgings are cleaned. It minimizes the cost of shot blasting and is an ideal equipment for cleaning residual sand and scale on the surface of workpieces. The structure of the tumble shot blasting machine: the tumble shot blasting machine is mainly composed of a drum, a separator, a blasting machine, a hoist, a gear motor and the like.